The street and youth cultures rock the Alexander McQueen McQ fall/winter 2015-2016 collection at its presentation it appears and we couldn’t be happier. While some may criticize the lack of brand specific extravagance and histrionics, instead calling it out for leaving a hole in the expectations of one. 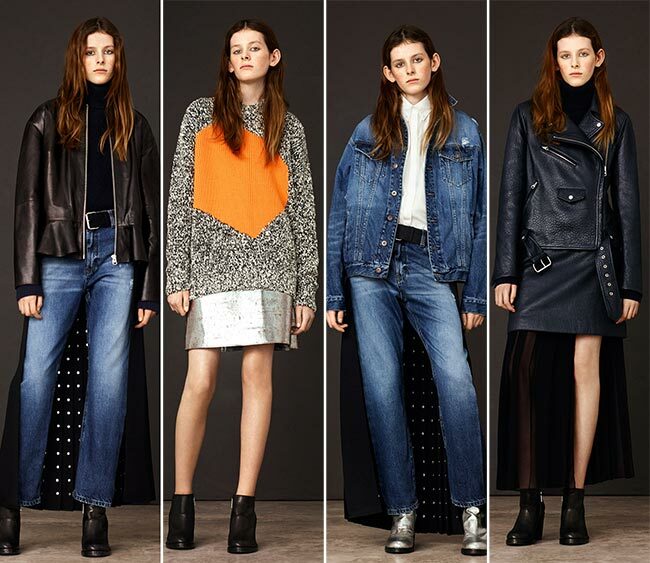 It is, essentially, full of the perfect everyday pieces combining the bad girl with the softly spoken female, the leather with the chiffon, the perfectly washed jeans with the denim on denim look that has been rather scarce among the fall and winter shows. Leopard prints and biker studs collide in this Alexander McQueen world, while a metallic patch finds its way on to a scrummy soft Aran jumper. 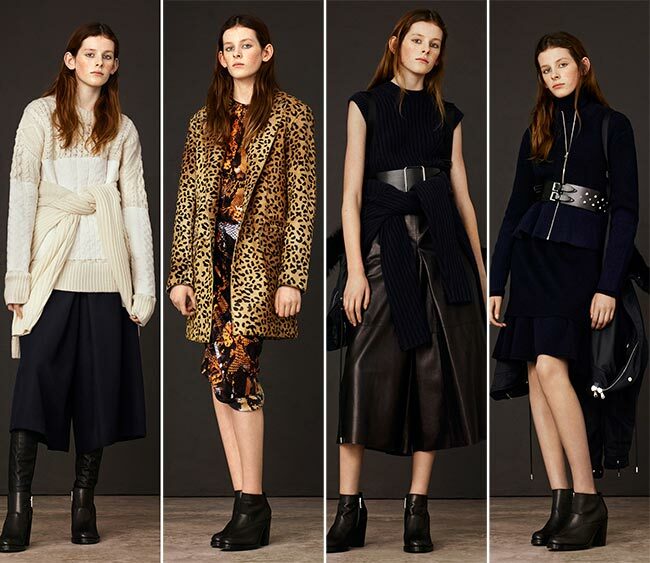 We even see a touch of culottes, those funky pants that somehow manage to stay in style for multiple seasons in a row. Add high boots underneath, a long knit sweater over the shoulders and a knit jacket to be worn on top of it all and you have a pretty interesting Alexander McQueen look, particularly while wearing your hair in a center part, in natural waves and rucked behind the ears. We kind of really liked the leopard print pony skin with its soft but fearsome look and the totally chic feel we got out of it. We have been seeing lots of angles and layering, particularly the layering, while some of the looks had that pretty little gauzy chiffon apron look leaving one leg open while adding mystery across the rest of the lower body, the hem ending just above the ankles. Like so many of the other designers, McQueen also brought focus on his artistic talents in dreaming up the extraordinary with an air of grunge to it all and inventive uses for the fabrics in question. There is a whole lot of patchwork and a whole lot of collaging it seems, with straightforward silhouettes and laid-back designs. We even see an oversized cream cricket sweater somewhere in the mix with silver foil emblazoned across the chest and a gloating asymmetrical chiffon skirt underneath and black leather booties clad over the feet. The Alexander McQueen house finds itself constantly nodding towards the more punkish rock style rebellious influences to the garments, elements that make the brand quite unique. This includes a black T-shirt dress with silver studs covering it up and a cinched waist due to a leather belt made to work like a corset. Those silver metallic miniskirts definitely are enough to capture one’s attention, particularly with couple with an oversized sweater in a black and white cozy knot, complete with a random patch of orange across the chest. Probably one of the best looks is the copped, perfectly washed out jeans with the high waist, with a navy turtleneck tucked in tightly, a black leather jacket thrown on top of it all and a pleated silver studded apron worn over the backside to give it an ankle length cape-like illusion. It’s a good look and one, which should appeal to most women who have a touch of punkish rebelliousness coursing through their blood.